Light Level Overlay Reloaded Mod is originally developed by 4poc (in minecraft 1.6.4 and earlier). F4 is the default shortcut key to turn on/off light level overlay an can be changed in “Options -> Controls”. Press Shift + F4 to toggle sky light calculation and Ctrl + F4 to toggle overlay type. 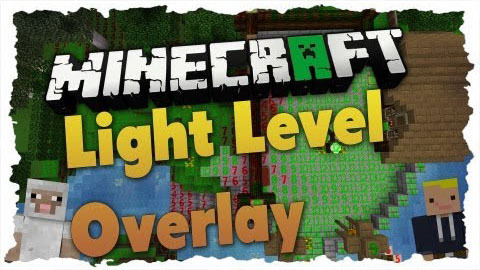 Download the Light Level Overlay Reloaded Mod from link below.